The piece’s unique shape recalls the design of a few of Pierre Cardin’s successful apparel collections. The spatial inspiration and freely developed geometric shapes of this Studio Pierre Cardin sculpture inspired the concept of Palais Lumière, a building that can be viewed as an “inhabitable” version of this piece. With respect to clothing, Monsieur Cardin asserted “I create a form and place a body inside it”. This was precisely the inspiration in the case of Lumière. 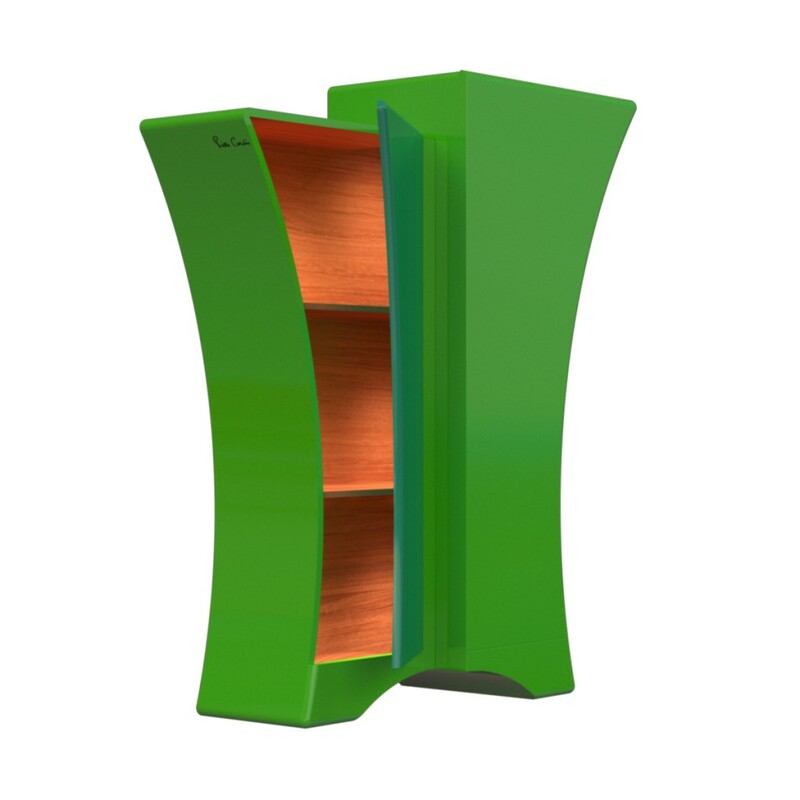 This fresh, original and colourful sculpture is suitable for settings that range from the study to the living area. The interior LED lighting can be adjusted by remote control (included) and small swivel wheels allow the piece to be moved easily.